"Alan Lukacs was exceptionally helpful, professional and pleasant. A credit to Dees Croydon"
Read our customers' honest and impartial Volvo V40 car reviews and ratings to easily find your next car at Motorparks. Very smart looking very comfortable and a pleasure to drive. Very pleased with our Volvo V40. Comfortable, smooth ride. Extras at no extra costs. Better than critics say. I love my Volvo V40 T3 cross country. The most comfortable car I have ever driven. I have back problems and have always struggled with comfort. No longer, Thank you Volvo. Picked up a new V40 Momentum D2 from Doves a fortnight ago to replace a 3-door C30. Excellent car and excellent service from the dealer. We took delivery of our new V40 T3 Inscription a few weeks ago. It is a lovely car and meets our requirements. Very comfortable drive. Spacious inside, but a larger boot would have been useful. All controls are easily accessible and self explanatory. Air conditioning operates within seconds. The V40 is a quality car. The interior is spacious and well laid out, everything is to hand for the driver. It drives well too. Smooth and relaxed, power when you need it and good fuel economy ... a tank full lasts a long time. 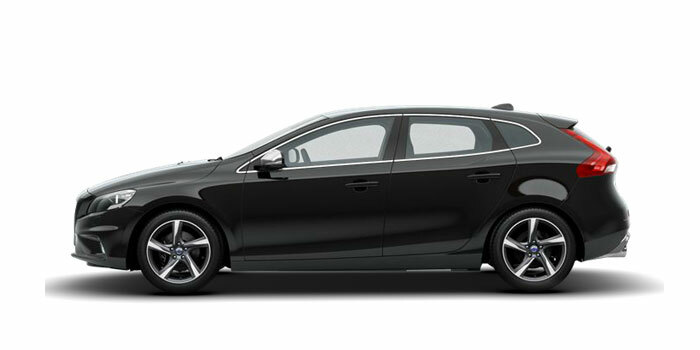 Having changed from a diesel V40 SE Lux to petrol V40 R-Design Pro I have noticed the difference in power and performance. Handles very well, has all the features of previous model with the addition of sat nav and am very happy with performance so far. Very comfortable driving position and instrument layout is excellent. Road handling is also excellent with smooth ride albeit on 17in wheels. The downside is a fair bit of road noise due to 17in wheels, I feel. Rear view restricted due to wide rear pillars and rear seat headrests. Mostly car is good and driving excellent. Problems with media system in that it is complex and not intuitive, so is going to take me time to learn. Not able to transfer or store phone numbers using Bluetooth and may need advice from vehicle supplier at Preston. The Volvo V40 is great to drive, very comfortable and stylish, but the one thing I think is missing is on both front seat runners the bolts next to the console have no covers - I know this is only minor, but to me it would be a nice finishing touch to have them. This is our second V40. We are absolutely over the moon with it. We elected to have an automatic box and a D4 this time. The gearbox is very smooth and that little bit more oomph from the engine is superb. It is a lot quieter than the D3. Overall the car is very comfortable and a delight to drive. Our only slight disappointment is that this car does not have the automatic dimming mirror that the last one had - which is an annoyance rather than a real performance drawback. Nonetheless, given that to add this as an extra is so relatively inexpensive in the scheme of things, we are very surprised that in this day and age Volvo have not specified this as standard equipment. With it this car wold have scored a 10. We were, as last time, really well looked after by Bill and Tony at the Blackburn dealership and we have no doubt that we will be coming back to you for our next car. Fantastic car - love the trim, drive, gear change, seats etc. on the car I chose, V40 D3 satnav. Had some new cars over years - like this one the best. We had a V40 T2, I loved the car, so we bought another V40 but the T3 model for a bit more power. We are extremely pleased with the new car. The car is brilliant. This car has satellite navigation which, on the last trip, saved me a whole lot of time, an engine temperature gauge and shows the distance still to be driven til the next fill-up. Also, the handbook details are built into the the on-board computer - particularly useful to me as I can't find the black thick folder consisting of the handbook, the quick review of the handbook and a book detailing service history - I can't find this anywhere! I'm praying it turns up as it is expensive to replace. But the CAR - Brilliant. Very satisfied with the V40. This is the second one I have had. Very comfortable. Easy to drive. Fantastic car. Very comfortable and so easy to drive. Love it! Juicy around town but better on motorway. Firm drive as feel every bump. Rear suspension very squeaky although this can probably be rectified. Nice looking car inside and out. Many blind spots. Overall I am pleased. I love my V40 Cross Country, the car is very stylish, comfortable and a great drive, mine has the winter pack and driver safety features, I would recommend the V40 as a great car just go and test drive one.